Available in 32, 48 and 64-channel models, the 9000 Series recorders are ideal for enterprise-level organizations that need additional video capacity and higher throughput. 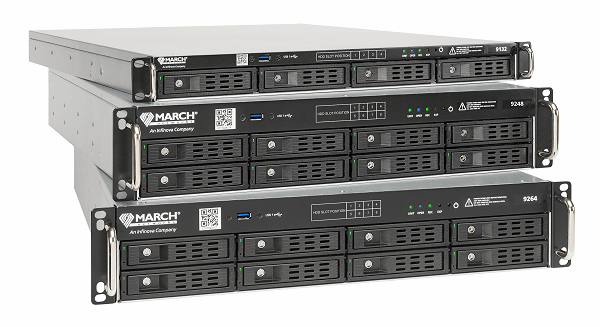 Like all March Networks recorders, they deliver rock-solid reliability thanks to their embedded Linux OS, and internal battery backups. As an added bonus, all channel licenses are included with each recorder.